Sea foam always reminds me of blowing bubbles. 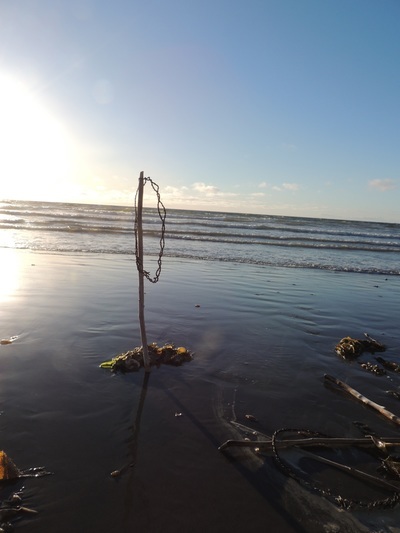 I twine bull kelp into circles.Firstly I install them on the dunes cover them with soap solution and wait patiently for the wind to blow bubbles. I never was able to find the ideal wind conditions. 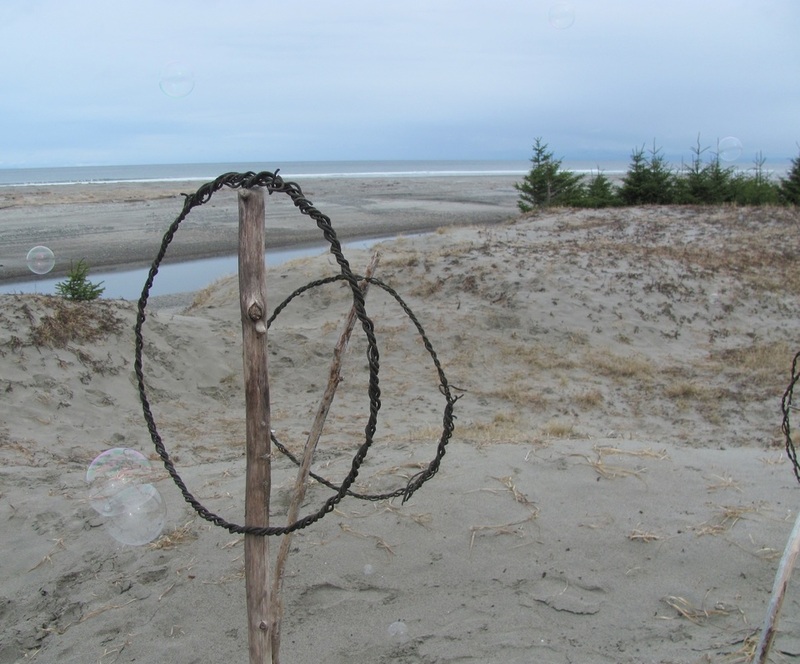 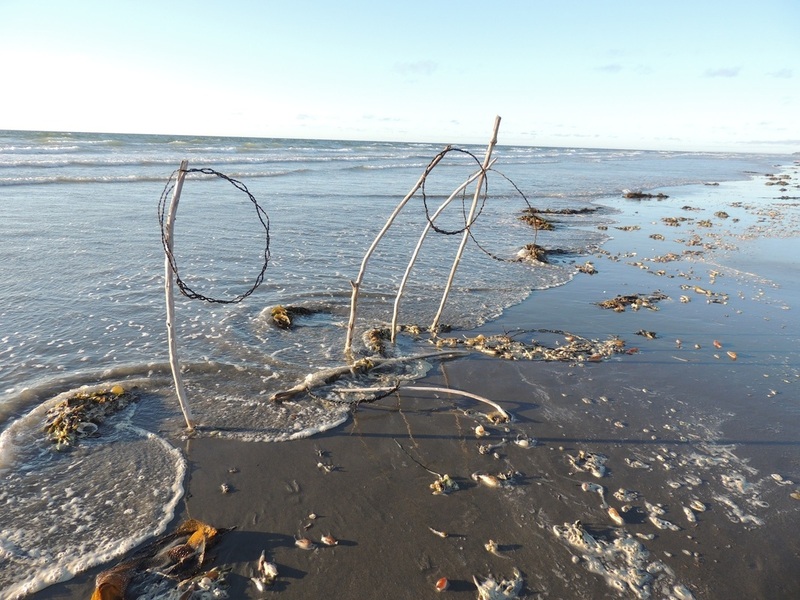 I next installed them along the beach on top of driftwood – giant static bubbles. 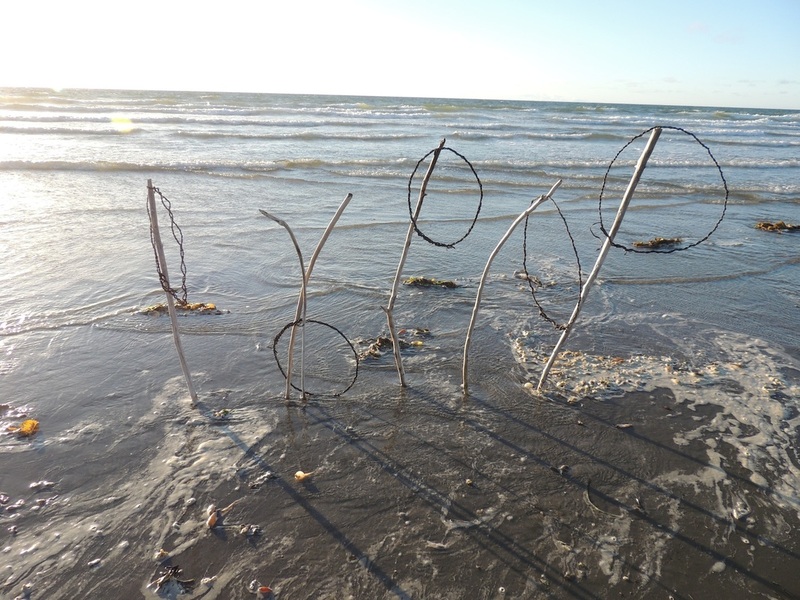 I wanted to see how long they will last.